In this Guide, we give you the rundown of what to expect in Year 12 and step-by-step advice about how to get ahead from your first day. In this Year 12 High School Survival Guide, we will discuss the expectations of Year 12 and strategies to making it your most successful year yet! Year 12, as your HSC year, is the most important year of high school. Though students often focus their worry on the examinations at the end of the year, there’s more to an HSC mark than just exams. In Year 12, every school assessment mark counts, and in fact 50% of the final HSC mark for each subject is taken from a student’s assessment mark. For this reason, you are under an enormous amount of pressure through the entirety of Year 12, not just during their exam period. Let’s look at Year 12 and the ways you can maximise your results. Carrying forward too many subjects into Year 12 – Often students are reluctant to drop subjects that they struggled with in Year 11. Even though they have more than 10 units of courses, students want additional units as a backup subject. Being unaware of the syllabus requirements – The NSW Education Standards Authority (NESA) provide students and parents with the Syllabus outcomes and requirements for each unit of study. Many students don’t take the time to read through this information and learn what NESA expects of them. Note that, the HSC exams make up 50% of a student’s marks while the other 50% comes from their school assessments. 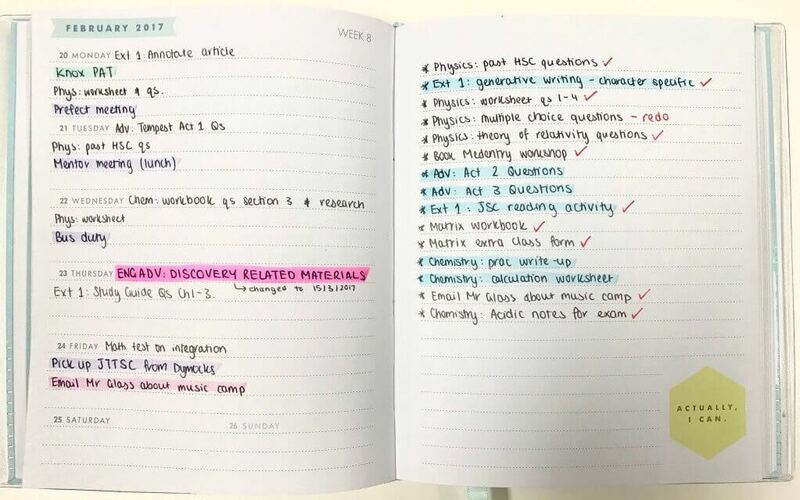 Trying to memorise a large amount of information before the exam – Students often try (and fail) to cram for their subjects. Struggling with time management – It’s very common for students to struggle to make assignment deadlines or to prepare adequately in time for their assignments and assessments. 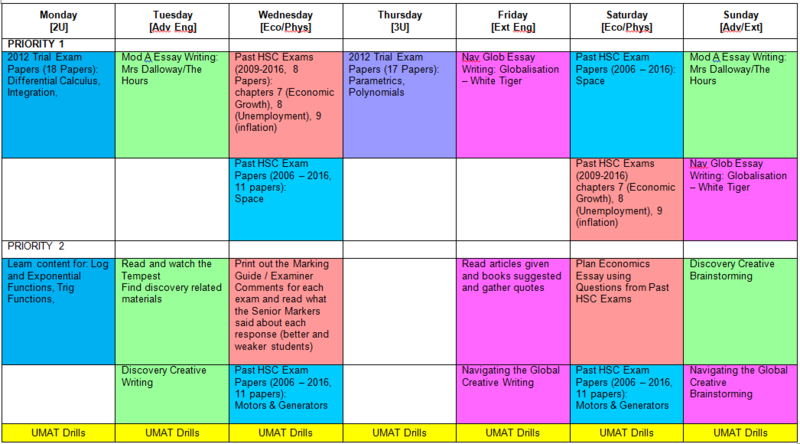 Year 12 is not just school as usual, it requires additional organisation and time investment. Working hard without a goal – Many students are unaware of the benefits of having clear and well-defined academic goals. Students need regular checkpoints so they can assess their progress and ensure they are on track to achieve the marks that they need for their university courses. Struggling with independent learning – Students will not get mastery of a subject from their class time. It is important that students practice and revise their skills at home when they study. Students who are not independent learners quickly fall behind their peers. In order to achieve their best possible outcome, students need to think very hard about what subjects are right for them. This may well involve dropping subjects that students are not performing very well in. This allows students to invest more time in each subject and increase their chance of success in those subjects. The minimum number of units in Year 12 is 10 units of courses. Students should remain in English Advanced and not change to English Standard unless they are not in the top 62% of the state. Students can drop Extension 1 subjects that they are not scoring well in at the beginning of Year 12. Some university courses have a minimum attainment for English Standard and English Advanced. Biology, Chemistry, and Physics are recommended subjects in medicine, dentistry, and health science university courses. A UMAT score is required for entry into medicine, dentistry and health science university courses. Visit the UMAT website. Students can find course prerequisite information at the UAC website. To succeed in Year 12 subjects, students need to have a thorough understanding of what their subjects involve and what the NESA outcomes are. Let’s have a look at the requirements for English, Maths, and Science. From 2019, some of these courses differ substantially from one another and need some explanation. The 2 Unit English courses do not all meet the requirements for receiving an ATAR. English Standard, English Advanced, and EAL/D are all eligible for an ATAR. English Studies and English Life Skills are units that UAC classes as category B subjects and ineligible for consideration for an ATAR. As you must have 2 units of Category A English to receive an ATAR, studying these subjects will mean that you must find an alternative pathway to university. Students doing English Studies can choose to sit the HSC exam and receive an HSC mark, but will not an ATAR. At this stage, it is unclear if English Life Skills students will be able to sit the HSC for English. The English Extension Courses require a significant investment of your time and effort. This effort is rewarded if you do well in these courses as they scale well. However, your teachers will offer you the opportunity to take these courses if they feel you are capable of succeeding in them. (Matrix does not offer English Extension courses but enrolled students can get assistance and feedback on English Extension work from their Matrix teachers and our Expert Tutors during workshops). Only certain students can take ESL. Students who feel they should take this course must speak to their teacher and year coordinator. In 2016, 62% of English Advanced students received a Band 5 or higher, but only 13.47% of English Standard students achieved above a Band 5. It is important that students take the appropriate level of English for their abilities and the requirements of their desired university course. It is also important for students and parents to understand the different rates of success common to each English course, and make informed decisions about chances for success. More information about choosing between English Advanced and English Standard can be found here. The English Studies and English Life Skills courses have modules that are chosen by your teacher. English Standard, English Advanced, EAL/D, and the Common Module for English Studies all have a list of prescribed texts. For some modules, students will need to select their own supplementary texts from a variety of different mediums. Each one of these modules and electives has a different set of requirements and addresses different Stage 6 outcomes. It is important that you read the NESA documentation around this. Detailed information can be found in the 2019-2023 English prescriptions document. If you would like a detailed breakdown of the English Advanced Modules for Year 12, read Part 12 of our Beginner’s Guide to Acing HSC English. The Year 12 English Advanced course is intended for students who have demonstrated good competence in English throughout Year 10 and 11. Year 12 English Advanced students need to satisfy the following outcomes in order to obtain an HSC mark in band 5 or 6. Note that 15.41% of English Advanced students received band 6 compared to 0.85% of English Standard students. Outcome EA12-9 A student reflects on, evaluates and monitors own learning and refines individual and collaborative processes as an independent learner. To achieve a Band 6 result, you need to demonstrate extensive knowledge of their texts and write insightful responses that demonstrate your understanding of those texts. Matrix Year 12 English Advanced Theory Books teach you how to address the outcomes for Stage 6, the Band 6 descriptors, and the specific Module requirements. Students who strive to address the outcomes and Band Descriptors always perform better than their peers. During the Term Courses, Year 12 students at Matrix gain an extensive knowledge and understanding of the key concepts and essay structure in the English subjects over 9 3-hour lessons. During the Holiday Courses, Students study each course intensively over 6 3-hour lessons. If you are unsure of where to start with your study of English, read our Beginner’s Guide to Acing HSC English! The Year 11 and 12 Mathematics Advanced courses are intended for students who have demonstrated general competence in all the skills in Year 10 Mathematics Advanced Course. Students who require substantial Mathematics at a tertiary level supporting the physical sciences, computer science or engineering should undertake the Extension 1 or Extension 2 course. The content and depth of treatment of the Mathematics Advanced course is intended to give students an understanding of and competence in some further aspects of Mathematics which are applicable to the real world. The Year 12 Mathematics Extension 1 course is intended for students who have demonstrated a high level of competency in the Year 11 Mathematics Extension 1 course. For this reason, the Year 12 Mathematics Advanced course is assigned 2 units of HSC marks and the Year 12 Mathematics Extension 1 course is assigned 1 unit of HSC marks. Hence, the total number of units for this course is 3 units. For this reason, Year 12 Mathematics Extension 1 and 2 are assigned 2 units of HSC marks each resulting in a total of 4 units of HSC marks. At Matrix, students are taught to gain extensive knowledge and skills of all the topics indicated in the syllabus. Year 12 students at Matrix gain an extensive knowledge and understanding of the key concepts in the Mathematics subjects through structured 9 lesson courses. The Year 12 science courses build upon the Year 11 science courses. Students who have failed to gain an in-depth knowledge and understanding of the key concepts will find the Year 12 sciences courses challenging. The Year 12 science courses incorporate the study of 4 modules which build upon the 4 Year 11 modules (they cover modules 5-8 of the Stage 6 syllabus, after modules 1-4 are covered in Year 11). Year 12 students at Matrix gain an extensive knowledge and understanding of the key concepts in the science subjects through structured 9 lesson courses. The 9 week Term Course for timely completion during the school term. Every year, a large number of Year 12 students ask the question “How did they get such a high ATAR?” When we analysed hundreds of academically successful students that have graduated from Matrix, they appear to have a few things in common. Successful students have a clear understanding of what’s expected of them. They have an explicit understanding of what’s required to attain a Band 6 performance. This means students have a clear understanding of the syllabus and the band 6 performance band descriptor. Band 6 and Band E4 Performance Descriptors are outlined below. Band 6 indicates the highest level of performance (90 -100 marks) for a 2 unit course and Band E4 (45 – 50 marks or 90 – 100 marks) indicates the highest performance band an Extension 1 and 2 course such as English Extension 1 and 2, or Mathematics Extension 1 and 2. For the full list of band descriptors, visit the NESA website. In 2016 HSC, 15.41% of the Year 12 English Advanced students attained Band 6. Demonstrates extensive, detailed knowledge, insightful understanding and sophisticated evaluation of the ways meanings are shaped and changed by context, medium of production and the influences that produce different responses to texts. Displays a highly developed ability to describe and analyse a broad range of language forms, features and structures of texts and explain the ways these shape meaning and influence responses in a variety of texts and contexts. Presents a critical, refined personal response showing highly developed skills in interpretation, analysis, synthesis and evaluation of texts and textual detail. Composes imaginatively, interpretively and critically with sustained precision, flair, originality and sophistication for a variety of audiences, purposes and contexts in order to explore and communicate ideas, information and values. In 2016 HSC, 0.85% of the Year 12 English Standard students attained Band 6. In 2016 HSC, 23.2% of the Year 12 Mathematics Advanced students attained Band 6. Exhibits extensive knowledge and skills appropriate to the Mathematics course. Integrates ideas of calculus with strong algebraic, deductive and modelling skills to successfully solve difficult problems. Exhibits excellent problem solving skills. Communicates effectively using appropriate mathematical language, notation, diagrams and graphs. In 2016 HSC, 33.012% of the Year 12 Mathematics Extension 1 students attained Band E4. Exhibits extensive knowledge and skills appropriate to the Mathematics and Mathematics Extension 1 courses. Synthesises mathematical techniques, results and ideas creatively across the Mathematics and Mathematics Extension 1 courses to solve difficult problems. Uses sophisticated multi-step mathematical reasoning. Interprets, explains, justifies and evaluates solutions to problems. Translates efficiently between practical problems and their mathematical model. Communicates complex ideas and arguments effectively using appropriate mathematical language, notation, diagrams and graphs. In 2016 HSC, 32.05% of the Year 12 Mathematics Extension 2 students attained Band E4. Exhibits mastery of most aspects of the Mathematics, Mathematics Extension 1 and Mathematics Extension 2 courses. Synthesises mathematical techniques, results, and ideas creatively across the Mathematics, Mathematics Extension 1 and Mathematics Extension 2 courses to solve problems. Combines excellent algebraic and modelling skills, multi-step logic and mathematical insight to solve difficult problems. Constructs proofs in an abstract setting. Communicates sophisticated mathematical ideas and relationships using the algebraic, diagrammatic and graphical techniques of mathematics, concise notation and clear logical argument. In 2016 HSC, 8.76% of the Year 12 Biology students attained Band 6. Demonstrates an extensive knowledge and understanding of biological concepts, including those based on contexts and prescribed focus areas. Communicates succinctly, logically and sequentially using a variety of scientific formats, including diagrams, graphs, tables, flowcharts and equations relating to biology. Analyses and evaluates data effectively, identifies biological relationships, quantifies explanations and descriptions, and synthesises information to draw conclusions. Uses precise biological terms extensively and correctly in a wide range of contexts. Designs valid experimental processes involving appropriate technologies and incorporates thorough knowledge of scientific methodology to solve problems. Applies knowledge and understanding to unfamiliar situations and designs original solutions to biological problems. In 2016 HSC, 9.7% of the Year 12 Chemistry students attained Band 6. Demonstrates an extensive knowledge and understanding of the concepts of the chemistry course content including context, prescribed focus areas and domain. Displays an outstanding ability to describe and explain chemistry concepts, including abstract ideas, clearly and accurately, and to apply the concepts to unfamiliar situations. Applies a high level of critical thinking skills in developing appropriate solutions to problems involving a long sequence of related tasks. Analyses, evaluates and extrapolates chemical data effectively, identifies complex relationships, quantifies explanations and descriptions, and synthesises information to draw conclusions. Communicates succinctly, logically and sequentially using a variety of scientific formats. Demonstrates a high level ability to design an experimental procedure. In 2016 HSC, 8.37% of the Year 12 Physics students attained Band 6. Demonstrates an extensive knowledge and understanding of the concepts of the physics course content including context, prescribed focus areas and domain. Displays an outstanding ability to describe and explain physics concepts, including abstract ideas, clearly and accurately, and to apply the concepts to unfamiliar situations. Analyses, evaluates and extrapolates data effectively, identifies complex relationships, quantifies explanations and descriptions, and synthesises information to draw conclusions. They always start with the end in mind. Year 12 students should have an ATAR goal and a university course that they are working towards. 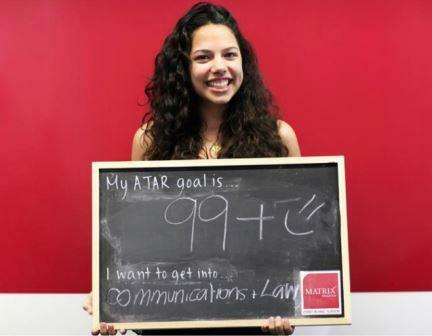 The student shown in the picture below set an ATAR goal of 99 at the beginning of Year 12. She displayed her ATAR goal on her desk as a daily reminder and to help her maintain motivated. At the end of Year 12, she attained an ATAR of 98.95! Although she didn’t achieve her exact ATAR, she says “Without a clear goal in mind, I probably wouldn’t have been as determined. I think I would have gotten a lower ATAR”. They always get things done on time. Every time. By consistently completing their tasks by the due date, these students gain an advantage over their peers. We find that whilst discipline is a hurdle for many students, Matrix students make it a priority in order to achieve their best results. If you lack motivation and determination, watch Sally Kim share her story of success. Successful students are very self-conscious about how they spend their time. They don’t like wasting time and they dislike others who waste their time. Here are four things that they practise to manage their time effectively. Step 1: They create a Daily To-Do-List using a journal. 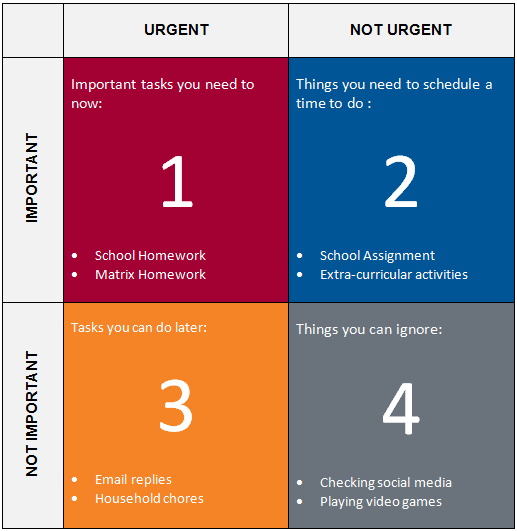 Step 2: They prioritise the tasks based on importance and urgency. Step 3: They get ahead of school during the school holidays. All the past successful students have used their school holidays for advanced completion of content through Matrix Holiday Accelerated Course. This creates blocks of time that students can use for sharpening their skills through exam paper practice. For example, a student studying Year 12 Chemistry and Year 12 Maths Extension 1 courses would have dedicated 6 hours of study each day for 9 days. This equates to 54 hours of additional study whilst others are doing very little. It also means that the student has saved 54 hours of study during the term. Step 4: They establish a weekly rhythm to get ahead with exam preparation. NESA mandates that schools must provide students with assessment schedules and notifications in advance. the weighting of the assessments as a percentage of the students overall marks. Assessment notifications are documents that provide important information about how to prepare for the assessment. For each task, students will be presented with an assessment notification. 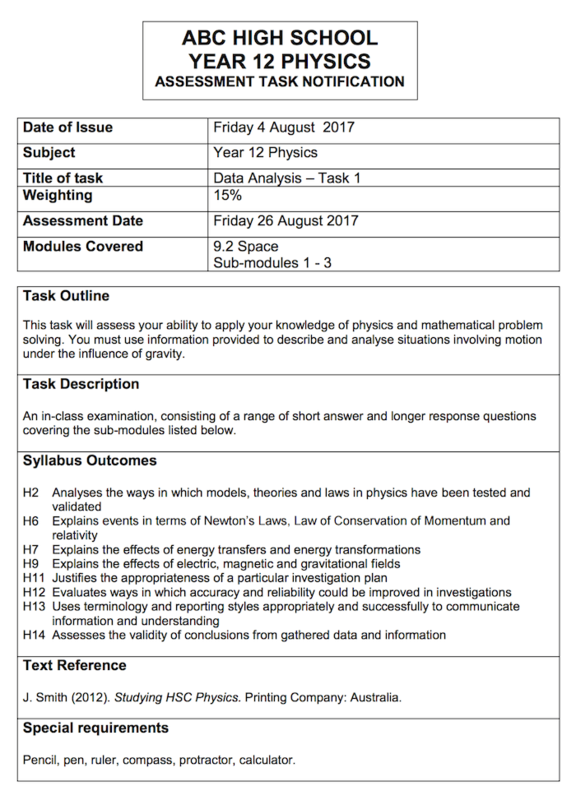 A sample Year 12 Physics assessment task notification is shown below. To do well in their assessments, students should pay careful attention to their assessment notifications. In particular, students should make an effort to understand the marking criteria, which will clarify what the markers will be expecting from them. Sample marking criteria and assessment notifications and schedules can be found on the NESA website. Click the link below to download. We hope this guide and the links provided are a useful resource in preparing you for what’s to come in Year 12, and in achieving your academic ambitions. Need help maximising your English marks? We’ve put together a comprehensive guide to nailing HSC English. If you need help writing essays, creatives, and presentations, or even analysing your texts, you should check out the Beginner’s Guide to Acing HSC English! In Part 2, How to Analyse your English Texts, you can download a free textual analysis planner to help you get across your texts and write insightful responses.